At the end of our first Dungeon World session we had only encountered an enormous spider lord and had spent a moment with the characters. In any case I needed to build on that session to create the framework for our campaign and it all starts with the first steading. As I’m sure that there are players that would benefit from this kind of example I’ll dedicate this post on discussing about moving from first to second session. This steading is close to an ancient elven temple and situated at the “wooded foothills” area. There are no elfs in the steading as they tend to shy away from humans. There is a small cult that somehow is able to get slaves to be sacrificed to the spider lord. The cult is actually working cover for much larger movement. The houses are built around the trees and connected with suspension bridges (The Last Home Inn from Dragonlance was mentioned as an inspiration). So I actually knew a lot about the steading. Just nothing too concrete. The beginning point of building this steading seems to be the cult that has access enough people/slaves that nobody misses them. So it stands reason that this steading is reasonably large and either by a trading route or a place where a lot of commerce happens (my reasoning behind this being that there can be slavers that bring an unnoticed amount of slaves to the steading and nobody cares if/when they go missing). This means our steading is a town, keep or a city. As it did not sound like keep during the first session and a city just sound too large at this stage I decided to go with a town. Town, by default, is [moderate, steady, watch, 2trade] (if you do not know the meaning of these tags you can check them here). In the dungeon of the temple in the first session the party found a chest full of gems. Why gems? I like them and they take my mind into a different realm than “coins”. I decided I could use this to establish that this steading trades in gems. Another trading resource would be slaves. Now rules as written does not mean that I have to explain what is being traded with [trade]. It means that the steading has two other steadings it trades with. But in my mind it is easier to consider first what is being traded. The rules indicate that “if the town is listed as Trade by another steading” I should choose an additional description for it from the list. As this town trades with two other steadings I jump into a conclusion I can choose one option (I haven’t build the other steadings yet but I’m certain I can add [trade] with this steading. So I’ll choose “this town is built around a craft: craft (jewellery), resource (gems)”. This helps to explain why the gems where in the first place. This also gives the cultists something to pay the slaves with and implies there is a source of gems nearby. Interesting options all in all. As a finishing touch I need to choose one problem for this steading. As this is the “starting village” and something of a melting pot for adventurers I choose “the town is popular meeting place”. This seems to indicate it is along a well travelled road(s) and as it increases the population and adds a [lawless] tag it explains why the slave trade can go on without noticing. Now I am almost finished! All I need is a suitable name. I could choose from the list provided by the Dungeon World rulebook but I do not find them suitable. Our world is a bit different from the world presented in DW and thus I need to be at least a bit creative in certain key-points (I already have printed a list of forest and nature deities to be used when needed). I have decided to use Finnish names whenever suitable (as we are Finnish). The fighter of the group is called “Haukka” which is direct translation from “Hawk” (an option from the Fighter’s playbook). I want it to be flavourful like Solace from Dragonlance or Pendelhaven from MtG. I made a quick trip to my favourite online random generators at Seventh Sanctum, chose the “tree-being name generator” and picked the most suitable. So there I have it. My first steading for our Sylvan World. It turned out quite good for the first steading. At the beginning I had no idea of what to expect but I ended up with a settlement I really want to use in our games. Hopefully the other feel the same way! 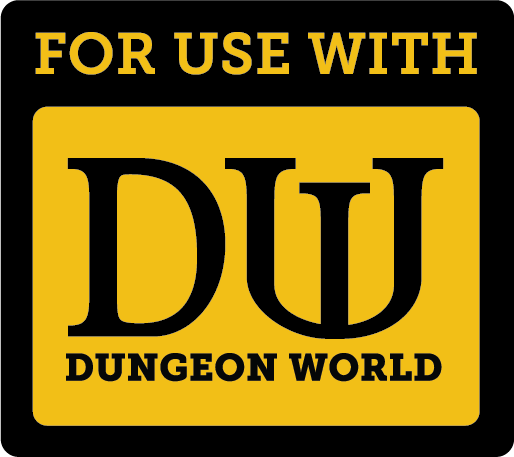 This entry was posted in Dungeon World, Roleplaying Games and tagged borrowing from MtG, Dragonlance, Dungeon World, GMing, Sylvan World by Lauri Maijala. Bookmark the permalink.